The Omnitrak® waxless base is used on Madshus Cross Country Downhill skis. 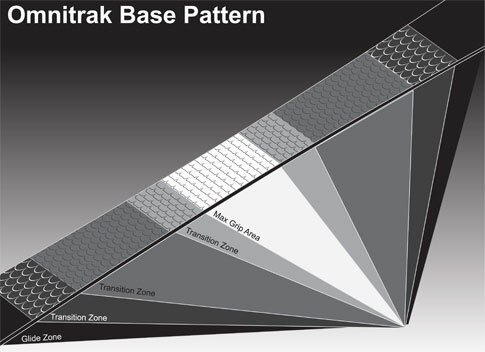 Engineered with five zones, the Omnitrak® base uses round, spaced scales in transition zones for a smoother, more efficient glide and sharp, tight scales underfoot for maximum grip. With its rounded transition shapes and positive edge setting, the Omnitrak® base provides optimal climbing versatility and a smooth turn on firmer snow.